P!itD note: this article has been redacted to fit the publishing requirements of this platform. For the full article, see the link at the bottom of the page. 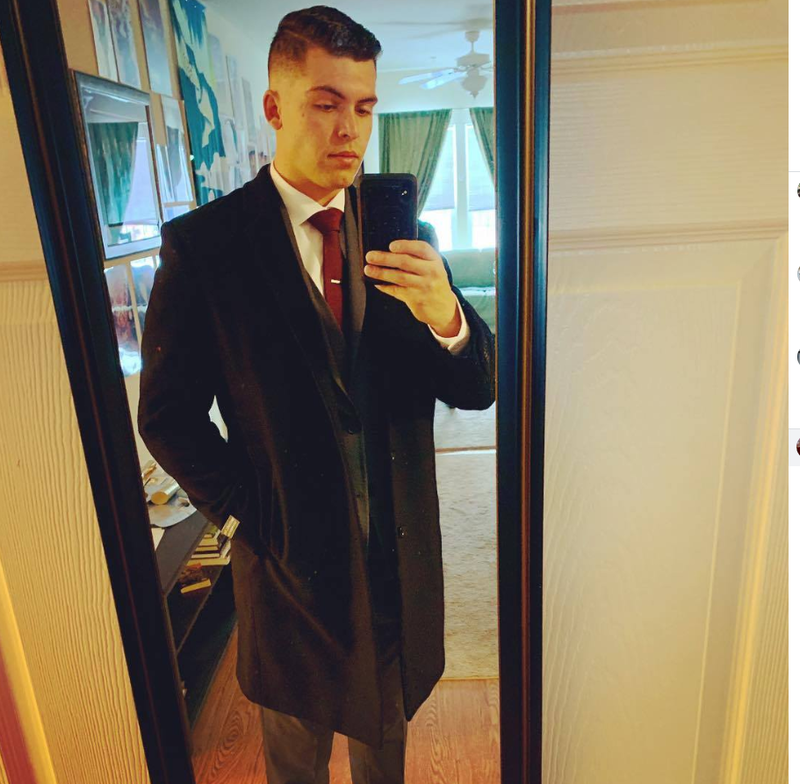 Joshua Michael Sayre, age 26, is a member of Identity Evropa, now known as the American Identity Movement (AmIM). Joshua used his real name on Slack, IE/ AmIM’s internal communications platform before they were recently cut off from the service. 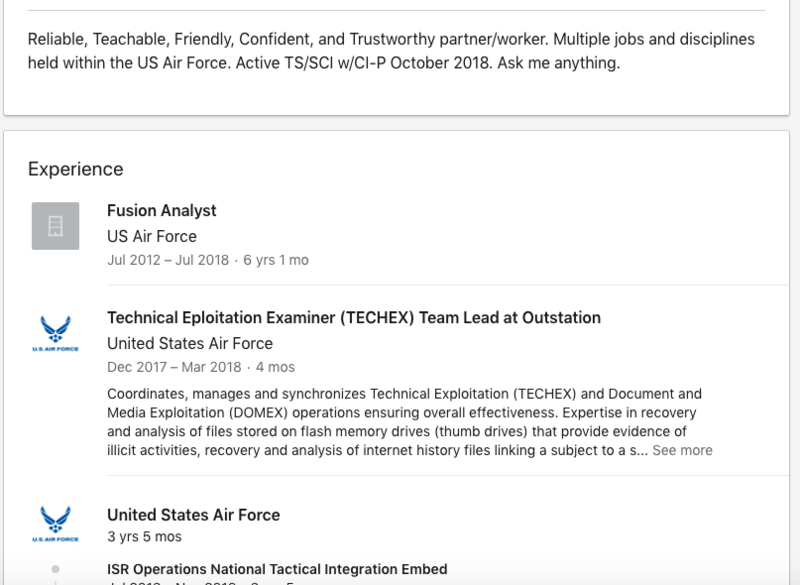 Using the name he gave in Slack, our researchers found Joshua’s LinkedIn page, which revealed he is yet another neo-nazi who once served in the US military. 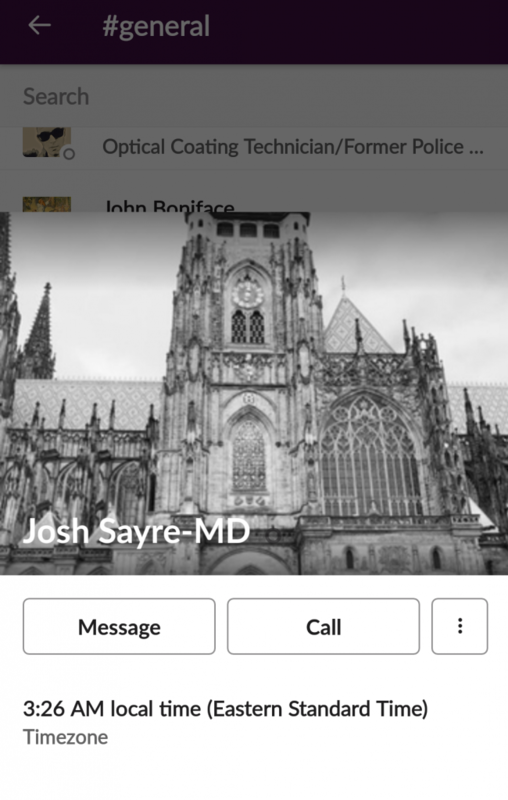 On one of the Identity Evropa Slack Channels, Joshua Sayre used his legal name. 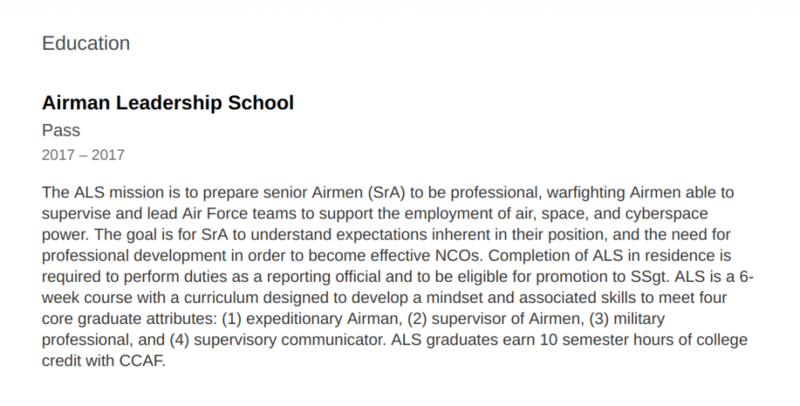 According to Joshua’s LinkedIn profile, he was enlisted in the Air Force starting in 2012, through July of 2018, and attended Airman Leadership School to be eligible to become a Staff Non Commissioned Officer in 2017. 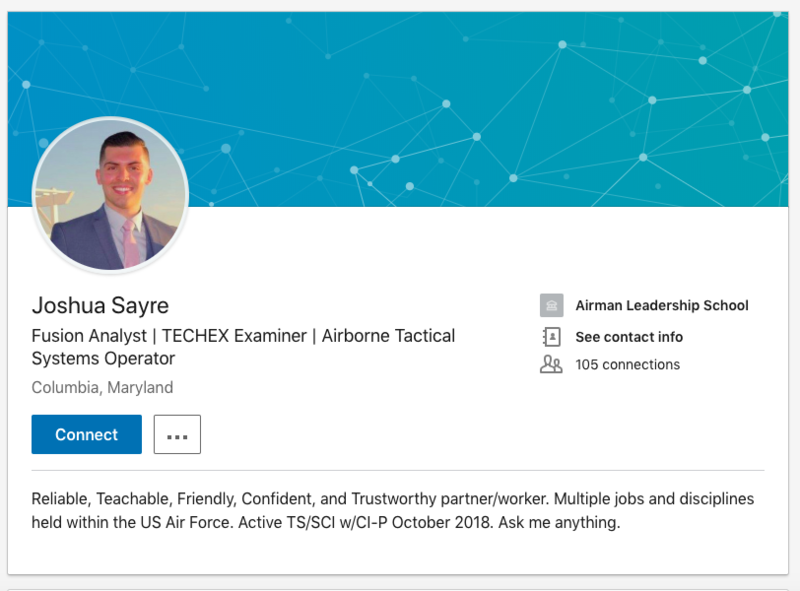 His most recent employment listed is the US Air Force as of July 2018. It also notes his current location as Columbia, Maryland, the same state he was organized with in IE’s Slack. 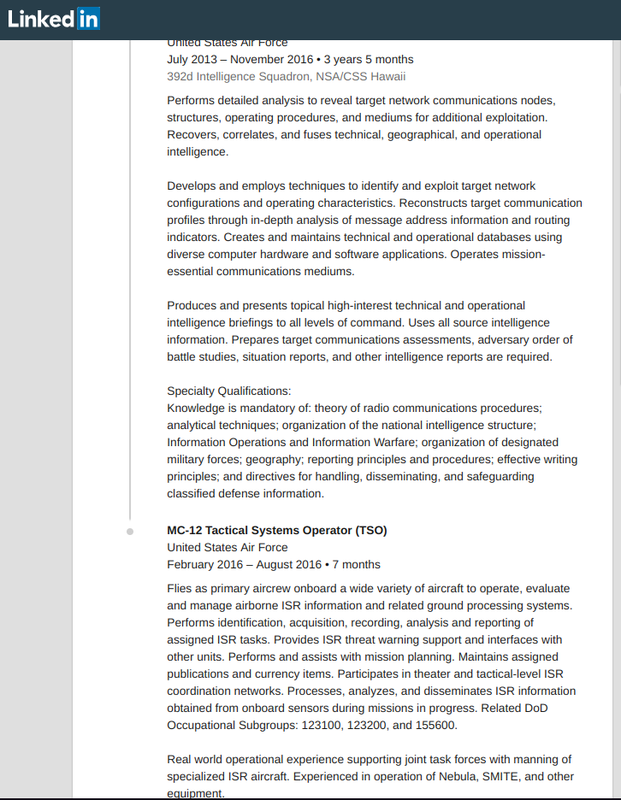 Joshua’s most recent work experience according to his LinkedIn. 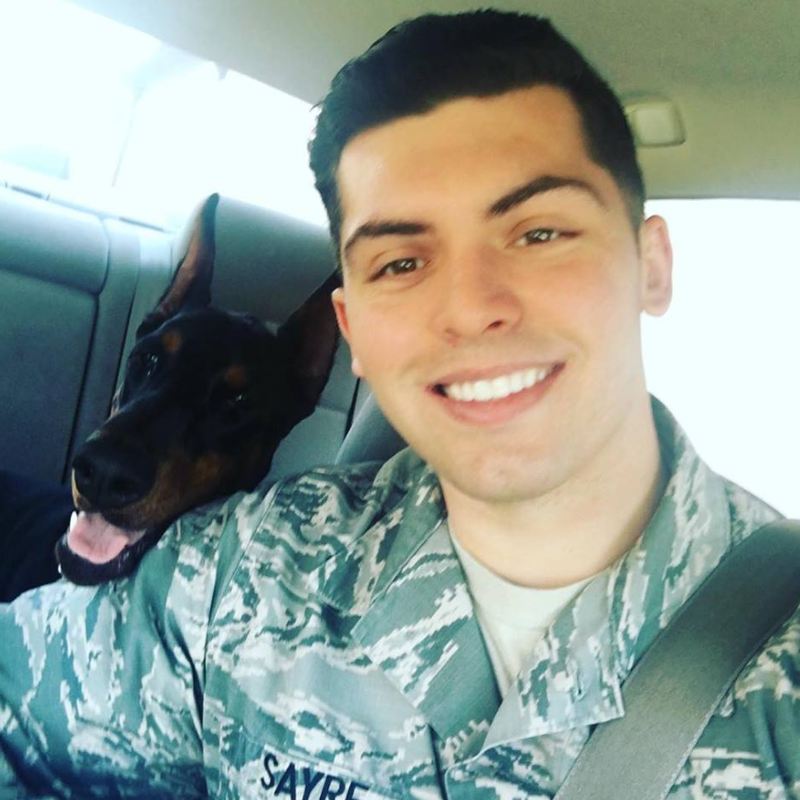 Joshua completed the Air Force Education to be eligible for promotion to Staff Non Commissioned Officer in 2017. Another photo of Joshua Sayre. 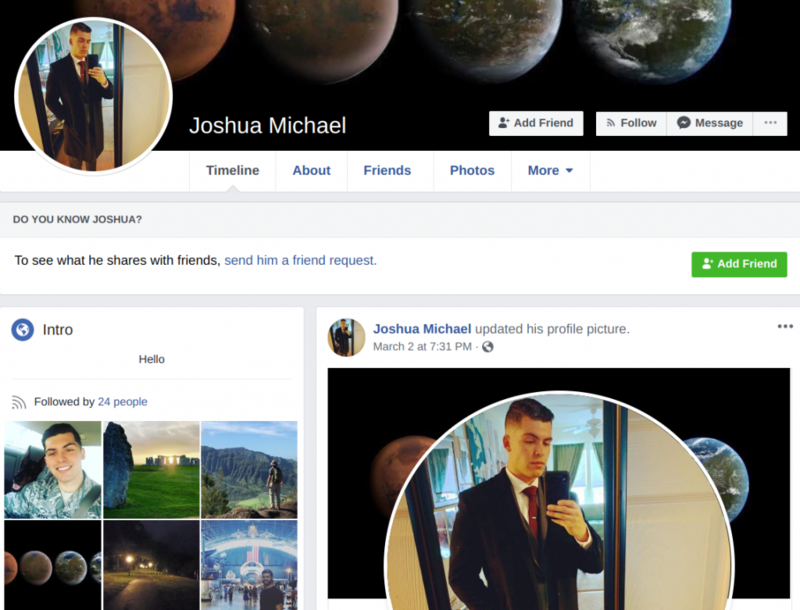 Joshua is also on Facebook as “Joshua Michael.” His Facebook “Likes” reveal a number of fascist interests, and suggest that he attends or attended Shasta College, a community college in Redding, California. 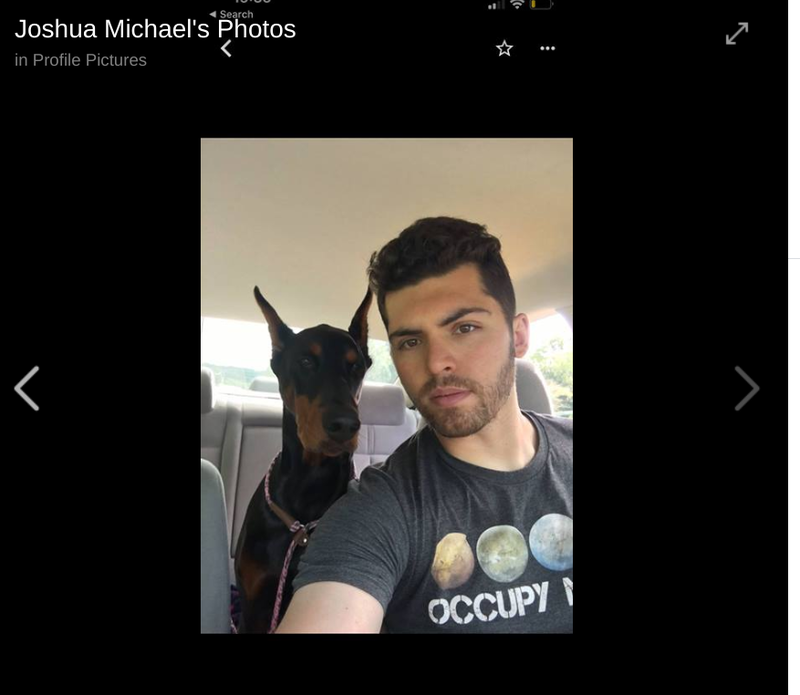 Joshua’s public Facebook account is archived here. 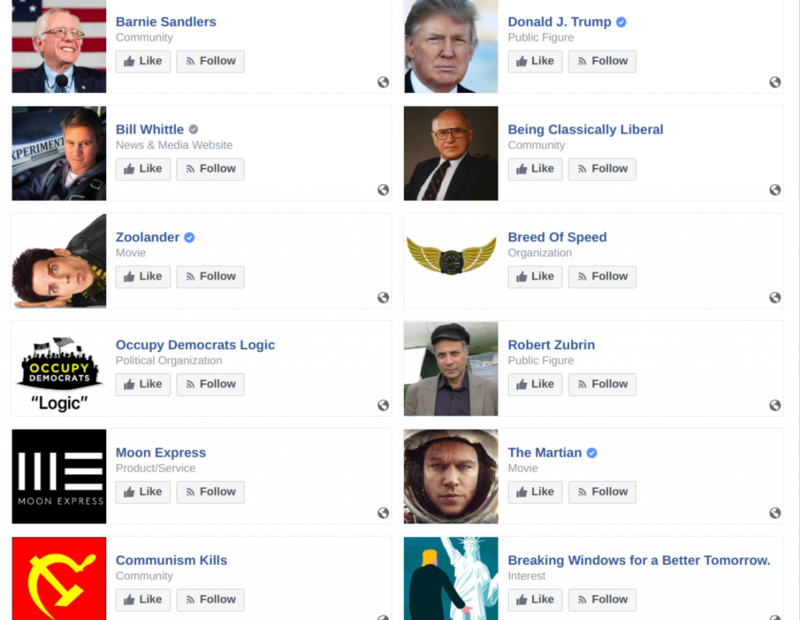 His “Likes” further reveal he graduated from Oak Harbor High School in Washington in 2010, and confirms that he was in the Air Force. 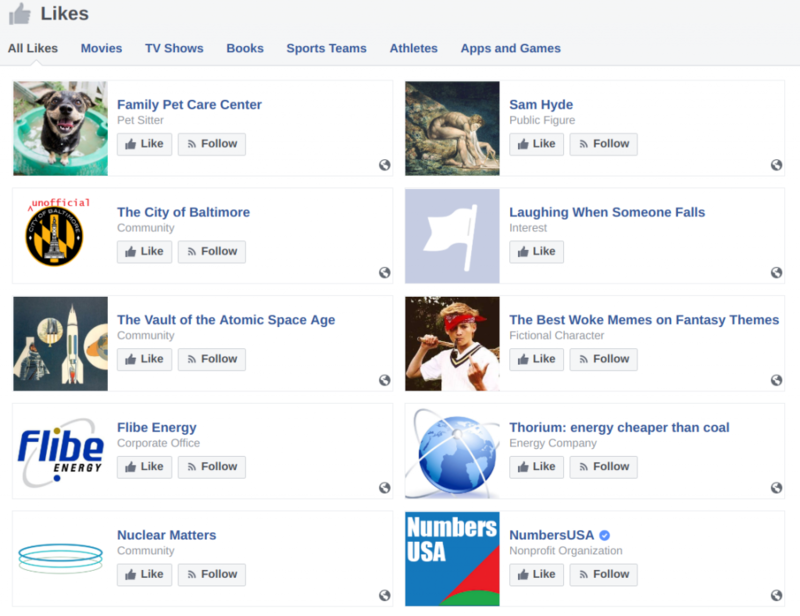 Some of Joshua’s Facebook “Likes,” which includes the far-right anti-immigrant group NumbersUSA, a reference to the popular 4chan and 8chan meme Sam Hyde, as well as an anti-Communist community group known as Communism Kills. 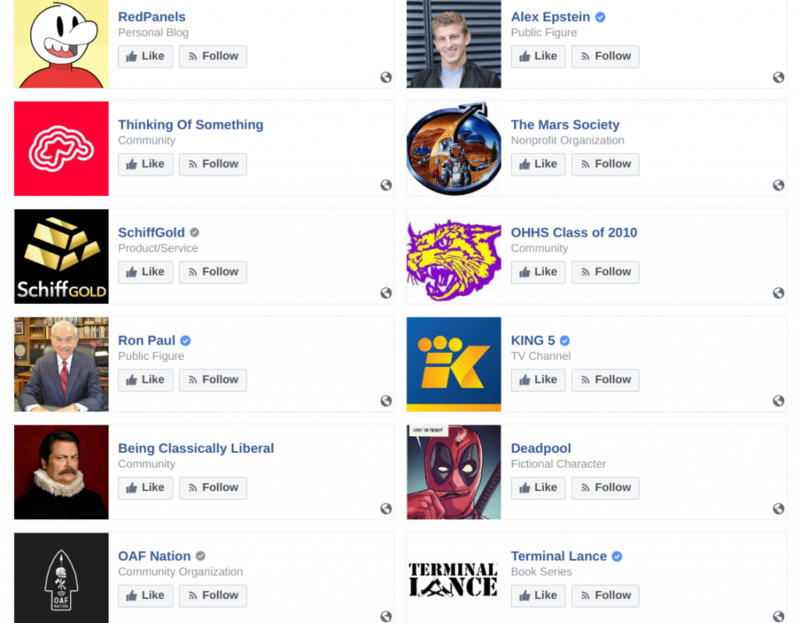 RedPanels is additionally a racist, sexist, homophobic, Islamophobic, and antisemitic web comic which has actively promoted the alt-right and ran out of money as it was deplatformed. Our researchers have not yet been able to determine what username Joshua used in IE’s Discord server, “Nice Respectable People Group,” so please feel free to reach out if you have tips. There were several members of IE’s Maryland chapter present in the Discord server, including many members who participated in local propaganda efforts. Panic! 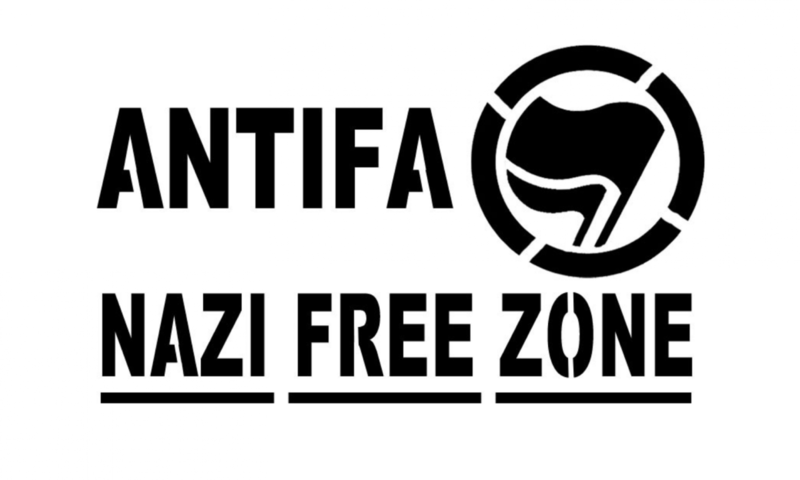 in the Discord Antifa created this article. If you have tips, send them to: panicinthediscord@riseup.net or @discord__panic on Twitter. OMGDwayne (real name Mitchell Craig Brooks) you’re doxxed!